REFUNITE founders David and Christopher Mikkelsen met Mansour, a young Afghan refugee, in 2005. Mansour had lost contact with his parents and five siblings during the family’s escape from Kabul and the Taliban. When crossing into Pakistan, a human trafficker tore the family members from each other. Mansour spent four months on a perilous journey through Russia and across Eastern Europe. 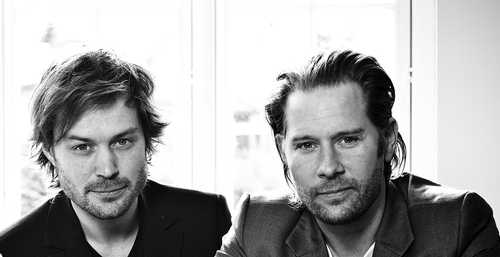 He eventually found his way to Copenhagen where he met the Mikkelsen brothers. While helping Mansour search for his family, David and Christopher quickly discovered that existing family tracing programs were lacking in using collaborative technology. Paper forms completed in pencil meant little information was shared across agencies, across borders or across conflicts. Although they eventually located one of Mansour’s younger brothers in a small city in Southern Russia and help reunite the two in Moscow after six years of separation, David and Christopher knew they needed to find a better way to help the world’s hundreds of thousands of refugees who desperately wanted to reconnect with long-lost relatives and friends. In 2008, they launched REFUNITE.